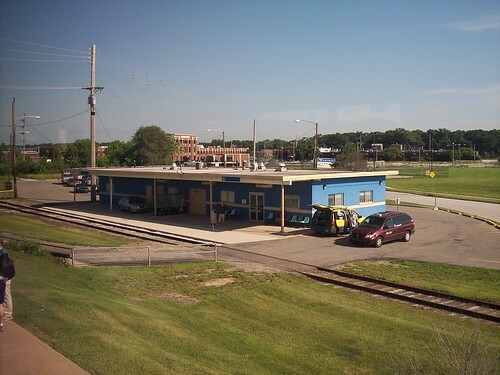 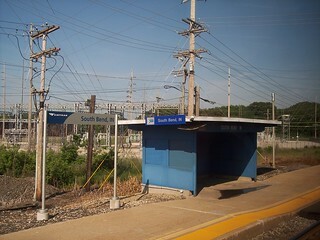 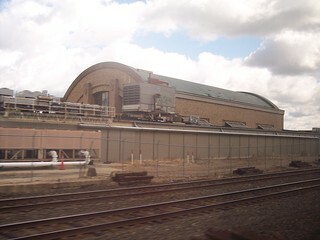 The current South Bend station. 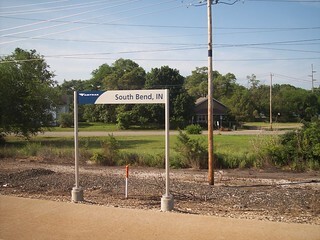 The eastbound platform in South Bend. 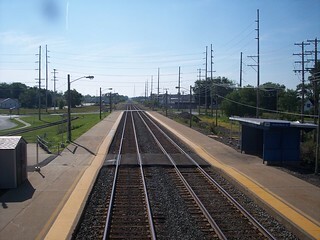 The current station has two long platforms. 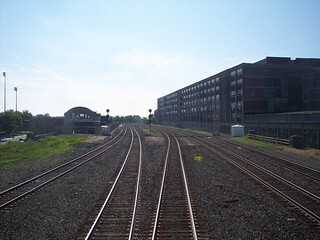 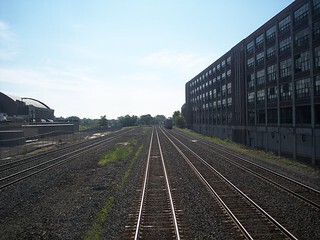 The old station downtown still stands and can be seen to the left of the tracks. 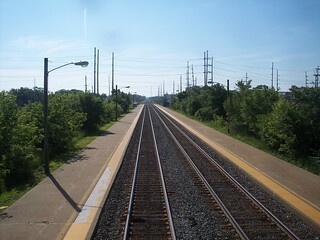 It appears that at one time there was a platform just to our left.